Today’s post came to me via email, but it’s too wonderful to keep to myself. I asked Sian if I could please devote a post to it, and it turns out that Sian has recently received some major nudges to begin blogging. Well, then! Sian’s blogging has now begun. I shared with Sian that — although I left Facebook for different reasons — I felt the same wonder, expansion and relief from unplugging. Readers of my blog and Tania Marie’s blog regularly inquire if I’m on Facebook or if I intend to go back. Nope. So many of our local events are listed on FB that in 2013 I briefly (read under three minutes) created a fictional account for myself so that I could access those local groups. Before I had even finished the setup, my neck tensed, heart raced, stomach sank, world contracted, and I felt such a revulsion for my laptop that I wanted to knock it off my desk — just from logging into the Facebook page. I knew I didn’t like FB, but that level of immediate intensity shocked me. I closed my account before I even friended Tania. David and I met through Facebook, and for that I remain grateful, but, like Sian, I’ve found so much more wonder and peace away from that particular social monitoring and control platform. In just four days, Sian’s had some incredible uplift and reconnection. In your latest blog you mentioned that we have been given a chance to correct our course in life. I feel that March has rolled along with open arms begging for me to change my perspective and change my world. I have recently realised *or have been prompted to realise* that I have an addiction to Facebook, for no good reason. I don’t watch main stream TV, read gossip mags or take part with the idea of “being on trend”, but here I am mesmerized over a web-page? Like a bug to a fluorescent light- hooked with zero escape. While using Facebook I felt exhausted, envious, remorseful and well… Angry. I would wake up, fall asleep and use every waking hour to check out my friends lives. They would be: airing their dirty laundry, taking “selfies” of them looking like supermodels, and “checking in” to cool hangouts….accompanied by pictures of them with all of their super cool friends. I saw this amazing world people are living in….Then I’d snap back to reality, look around the room I rent from my parents, glance at my empty calendar and feel a pang of disappointment. I felt like I was missing out on a life full of fun and frivolity….Because I was! I set myself a challenge this week, to indulge in a “Facebook diet”. Talk rediscovering a wonderful world out there with SO much time to enjoy it! It’s day 4 of the diet and already I have felt a major shift in my soul’s epicentre. I have found time to read books, talk with my parents, book a holiday, meditate, have dinner’s with friends. Who really needs Facebook to keep in touch with friends when you can go and actually see them FACE to FACE! What a revelation! Haha! It’s also the little things, having time to: notice the birds in the trees, the flowers in my neighbourhood, the constant orbs of light that flash before my eyes, the extremely detailed and vivid dreams… instead of wasting it to check our little electronic devices to see what the rest of the world is doing, to feel less alone. The happiness and airy feeling I get from not using Facebook is unreal. How did we all get so far from this serene state of living? I just wanted to thank you for the inspiration to break free and live a wholesome life. The article goes on to reveal an inside look into perhaps the most pervasive and unchecked addiction in our culture … one with enormous ripple effects but so lauded by so many people that not a single support group exists for it. Yet. Please click here to read this insightful and eventually inspiring article by a former hedge-fund trader and the founder of the nonprofit Groceryships. For anyone who has any additional questions about what wealth addiction looks like, here’s an article about Larry “pull it” Silverstein, owner of the World Trade Center buildings who conveniently took out huge insurance policies for terror attacks just prior to 9/11, ordered the controlled demolition of the mildly burning Tower 7, collected a cool $5 billion from insurance … and who … twelve years later just as American Airlines emerges from bankruptcy, has decided to sue the airlines whose plane supposedly crashed into his towers, because, you know, $5 billion just isn’t enough. Can you say, “Junkie?” Details here. “The U.S. incarcerates more people than any country in the world. …25 percent of prison inmates in the world are locked up in the U.S.,” [source] many for addictions or bogus drug related charges. Just curious when we will begin to see some “time outs” for some of the most damaging addicts on the planet … some of whose institutions also happen to be laundering vast amounts of drug money from CIA drug running. 1. We admitted we were powerless over money – that our lives had become unmanageable. 12. Having had a spiritual awakening as the result of these steps, we tried to carry this message to wealth addicts and to practice these principles in all our affairs. “I wonder” is a very powerful phrase. I wonder when more wealth junkies will take the plunge to the rock bottom that leads to freedom. May it be so. “Individuals that are involved in peer-groups of the Alcoholic Anonymous 12 steps program don’t think that quitting drinking is easy. “They believe that it takes a large amount of willingness, a change in attitudes and acts on the alcoholic individual’s part to successfully be able to make a positive change in their life without alcohol. “This change is achieved through the involvement of four individual phases which can be seen in the list of the 12 steps above. These phases are…. “An admission on the alcoholic individual’s part that they indeed have an addiction to alcohol and need to abstain from alcohol. “Submission of the alcoholic person’s will and life to the power of God or a Higher Authority. “The act of restitution with individuals that the alcoholic has harmed in any way. “Spreading the message of AA and the 12 steps and principles to achieve each of the above, providing each person with a healthy alcohol-free life and the ability to help others. Change beings with serenity, but it also requires courage and wisdom. I received this article in Julie’s highly informative “Essential Survival” newsletter and asked for her permission to post it on my blog. Having known some people with various levels of aspartame addiction, including at least one person who developed MS-like symptoms and still refused to quit a 2+ liter a day habit of Diet Pepsi (in addition to several Venti-sized “sugar-free” Starbucks “decaf” soy lattes per day), I feel very strongly about the potent neurotoxins and drugs that pass as “food” or — worse yet — health food in the US. Slap a “sugar-free,” “low calorie,” “dairy-free” or “decaf” label on some things, and suddenly they seem like things it would be a good idea to mainline. I’ve also mentioned before that the dairy industry is trying to get permission to redefine “milk” so that includes “aspartame.” Why such insanity? Because if the definition of “milk” includes “aspartame,” then they don’t need to label it. I realize potential unlabeled aspartame is only one among dozens of unbelievable toxins and health concerns related to factory farmed, antibiotic laden, hormone infused, GMO bred and fed cows producing dairy that absolutely requires enzyme killing and protein denaturing pasteurization; however, the idea that something as unremittingly toxic as aspartame could appear unlabeled in foods that uninformed parents think are healthy for their children … well … that’s really disturbing. Particularly after some of the symptoms I’ve witnessed in life as a Medical Intuitive and/or friend. If aspartame is one of those things that you know is bad but think an occasional diet soda “can’t hurt,” or that it’s “better for the kids than sugar,” please do read the story of Julie’s dad, intermixed with the industry’s claims and FDA admissions of side effects. Eye-opening, indeed! Many thanks to Julie for all her wonderful information about essential oils, do-it-yourself first aid, and all around preparedness strategies, and thanks for letting me share this information with my own readers! Just a few months ago I got a call from my mom — one that I never expected to get. She called to inform me that my dad had finally ditched his diet Coke habit! After upwards of 25 years drinking several cans of diet Coke a day, my 73-year-old dad decided to kick that habit! For years my dad had heard my mom and I preach about the dangers of aspartame — an artificial sweetener made from the excrement of genetically modified e. Coli. After my dad had been experiencing numbness in his feet for years and then started to experience partial blindness earlier this year he was finally convinced to stop consuming this toxic substance! Last week I heard that Coca-Cola was testing a new ad campaign to help boost their sagging sales of diet Coke. I guess more people than just my dad have been wising up to the dangers of aspartame, and that’s been cutting into their profit margin. In the remainder of this article I will share snippets of Coke’s new test campaign in which a middle-aged woman and her teenage daughter are pictured enjoying a special moment together with diet Coke in hand. Beneath the picture is a touchy-feely mini-article filled with a mixture of fluff and outright lies, and which was designed to make you feel good about drinking diet Coke. I will share some questions that I asked my dad about his experience with diet Coke, and his responses. I will also share some of the disturbing data on aspartame that should give pause to anyone who cares at all about their health! Me: How did you get started with diet sodas? My Dad: I was always conscious about wanting to keep weight off, so I started drinking diet sodas as soon as they came out in the early 70′s. I started with Pepsi Lite that had saccharin. Saccharin was eventually banned and I transitioned over to diet Pepsi, and then to diet Coke. I think I drank about 32 oz. of diet Coke a day for around 25 years. Me: Were you ever concerned that the diet Coke might be harming your health? My Dad: Only when you and your mom started warning me. I took what you said about aspartame and put it in the back of my head somewhere. Previous studies on cancer and aspartame that found no link between the two were far less thorough than this study. Me: Do you think you were addicted to diet Coke? My Dad: I don’t think I was addicted, but if I didn’t have something to drink right after my daily workout, I would get cranky. I didn’t want water. I would usually drink diet Coke or Gatorade. Me: What made you finally decide to go off diet Coke? My Dad: I read some articles that you had sent to me and learned that diet Coke makes you eat more and has harmful effects. In April 2013 I made the decision to never buy any more diet Coke, I could only drink what I had at home. I drank a can a week until they were gone. I’ve been off diet sodas for several months now. I drink regular sodas again, 32 oz./day, and haven’t been gaining any weight. My Thoughts: What “good things happen” when people get together to imbibe Coke? 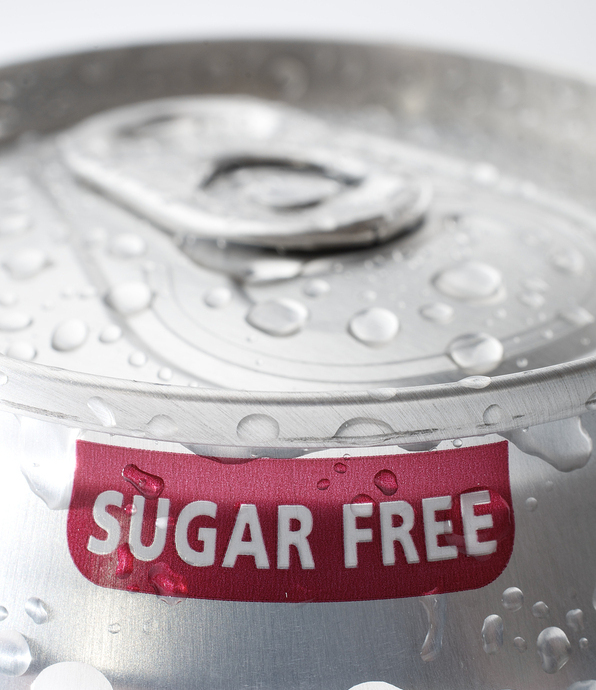 Regular Coke has high-fructose corn syrup, which is associated with metabolic syndrome, diabetes, and heart disease. Diet Coke’s aspartame might give you neurological problems, weight gain, and chronic debilitating illness including leukemia. I really wish my dad would go off sodas completely. Maybe he will eventually. Me: Have you noticed any changes to your health since ditching diet Coke? My Dad: I noticed an improvement in my eye sight, and the numbness in my feet has decreased. My Final Thoughts: I am beyond disgusted with big corporations like Coca-Cola who utilize their power and resources peddling products dangerous to our health. It’s even worse when they come out with ad campaigns to dispel “myths” about their products being dangerous, when those myths are true! To the CEO of Coca-Cola (and this applies to many, many others) — how can you sleep at night knowing you are becoming wealthy on the backs of millions, even billions of people worldwide, as you steal their health day-by-day with your dangerous “foods”? Why not seek to become wealthy providing people with foods that contribute to health? I think I already know the answer to that question, but part of me hopes you aren’t as evil as I think you are. I would love for you to change your ways and prove me wrong! Julie Behling-Hovdal is a reflexologist/holistic healer and founder of Essential Survival where she teaches people how to prepare for the #1 cause of death in the event of an economic collapse — lack of access to medicines. 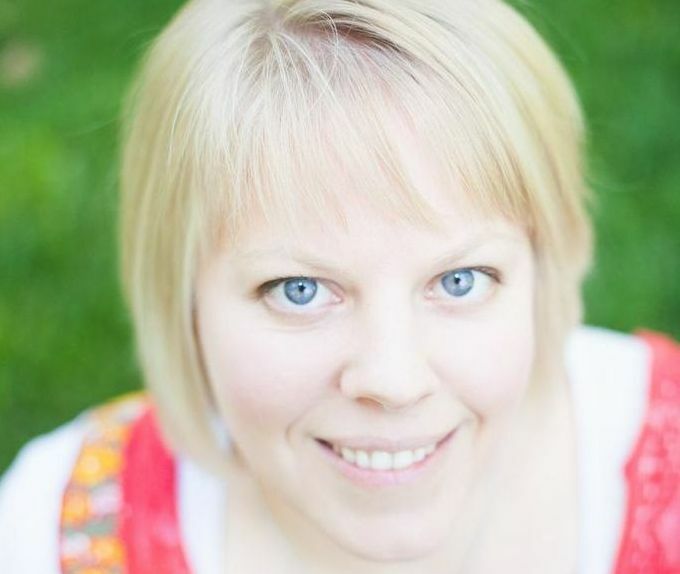 In 2005 Julie was able to get off 4 prescription drugs and heal from a 6-year stint of Chronic Fatigue Syndrome and fibromyalgia with products from Young Living Essential Oils. Get a free copy of her report “Fast Track Survival Medicines” at http://essentialsurvival.org/fast-track-survival-medicines/.